Dark Souls 2: Scholar of the First Sin runs at a terrific frame rate, and it’s great! Unfortunately, that introduces a glitch that degrades your weapons really fast, and From Software doesn’t seem to care. Weapon degradation is not new to the Souls games. It’s possible to induce degradation by hitting dead bodies or striking the game’s environment. Even in Demon’s Souls, weapons could break after enough use, and certain spells were designed to purposely break your weapons really quickly. Most weapons aren’t broken forever, though, as blacksmiths can easily repair them. At 30 frames-per-second, it takes 25 strikes for this player to degrade their weapon enough the game warns them it’s about to break. At 60 frames-per-second, it takes only 11 strikes. The only difference here is the frame rate. The better your game runs, the faster your weapon degrades. That’s weird, right? Punishing players for having superior hardware? The game was working as intended, according to Bandai Namco. If you decided to play the game at a higher frame rate, accidentally hitting dead bodies or the ground would degrade your weapon faster than normal. These games are supposed to be difficult, but this, um, is a little far! I played Dark Souls 2 on the PlayStation 3, so I didn’t have to deal with this issue. I was stuck with a dreadfully slow frame rate that, in retrospect, was actually giving me a small advantage! One could argue From Software was dodging the issue because Dark Souls 2 represented its first attempt at making a proper PC version of a Souls game, and its hands were full. 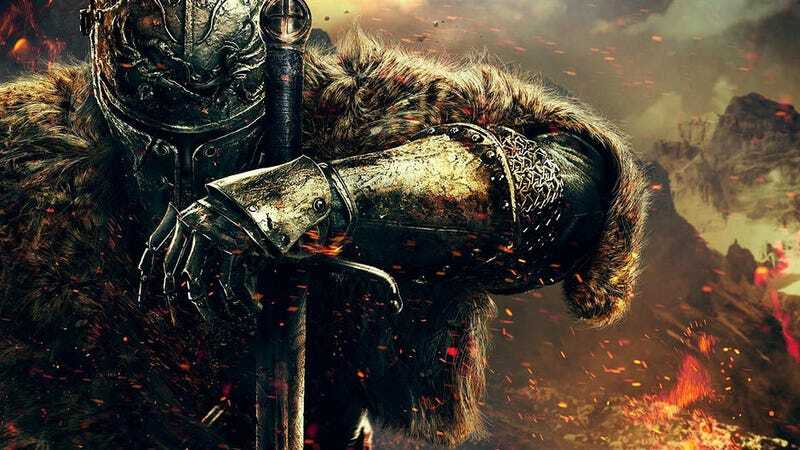 Dark Souls was an infamously bad PC port, saved only by fans who dug into the game and fixed its issues. Unfortunately, that excuse doesn’t hold muster. The bug is also in the recently released Dark Souls 2: Scholar of the First Sin, a new version of the game that’s seen all sorts of other tweaks. There’s no excuse for the durability bug to be part of Scholar of the First Sin. It’s not limited to the PC version, either. The PlayStation 4 and Xbox One versions run at 60 frames-per-second. From Software and Bandai Namco have not yet responded to my request for comment. You might not be surprised to learn that fans have decided to rescue the game again, however. DS2fix removes the durability bug from the game, in addition to addressing a few other issues. Since it’s not an official patch, there are concerns DS2fix could result in being banned from online play, but I haven’t seen any evidence of players running into such an issue just yet. Fans are great, but this shouldn’t be how it works. This is From Software’s job.